The ZH500TST boasts a unique short throw lens design, and delivers an ultra bright 5000 lumen WUXGA image for the entry level ProAV sector and features Optoma DURACORE Laser technology. Perfect for delivering outstandingly bright, vivid, and accurate colors with high contrast detailed visuals. 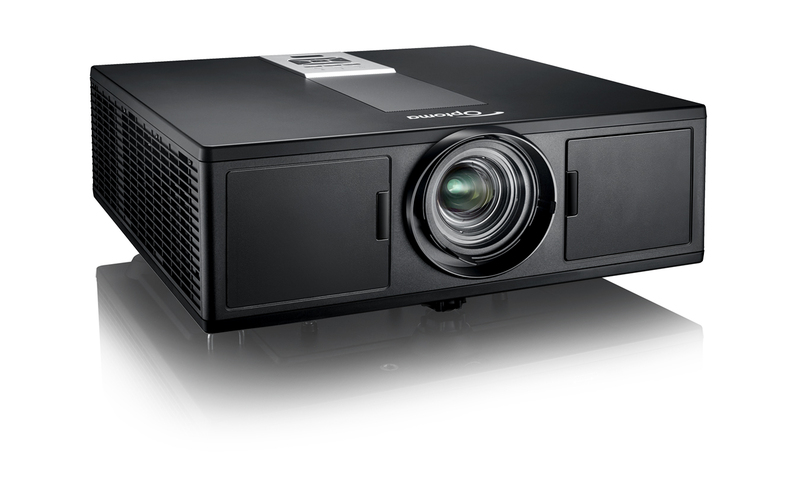 This projector enables spectacular image quality for every professional application. It’s 20,000 hour lamp-less laser light source is enclosed in an IP5X airtight optical engine which ensures reliability and minimal maintenance during it’s lifetime, resulting in low total cost of ownership. Designed to be extremely versatile in every installation environment, this projector includes 360 degree mounting options, portrait mode projection, and 24/7 operation capabilities. Along with it’s lightweight and compact form factor, is the ultimate choice for any professional installation solution. Industry leading lifetime is achieved using Optoma’s new DuraCore technology, implementing advanced laser diode cooling techniques and an innovative dust resistant design. 20,000 hours provides a staggering 10 years of normal use* or 2.28 years if run continuously 24/7.Remarkably, even after 5,000 hours this projector brightness shows virtually no change, which in our experience is unique in the projector industry for this class of projector. *8 hours per day, 250 days per year. 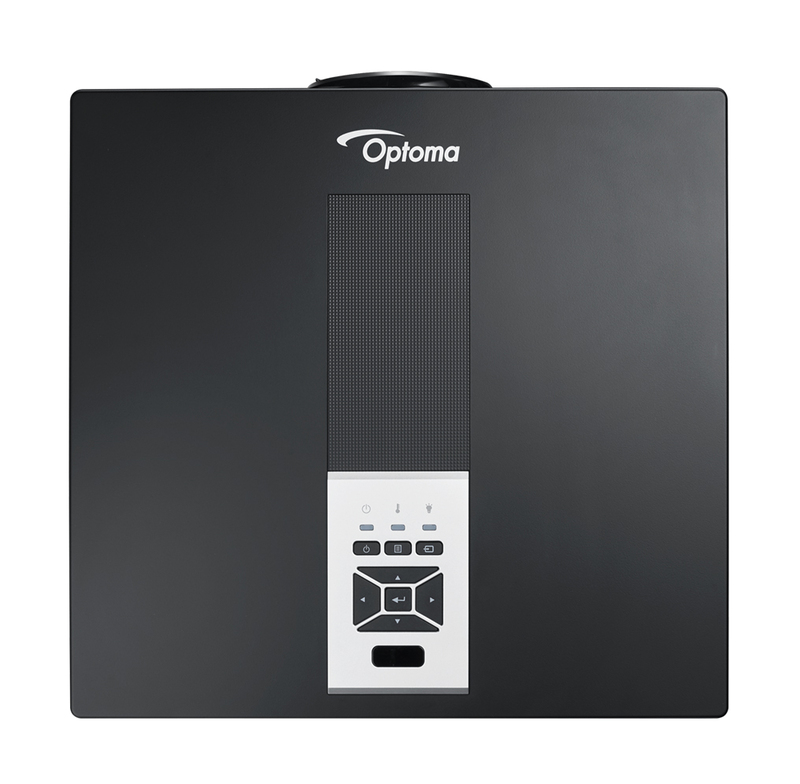 This projector is designed with Optoma’s Airtight Optical Engine with IP5X certification. The airtight enclosure resists dust particles and ensures a long lasting, reliable and maintenance free experience. This projector boasts a wide color gamut and is designed to provide the best color performance to match any application or environment. Our advanced color technology, multiple settings and features enable users to enjoy long-lasting, reliable and precise color – from vibrant, punchy presentations to lifelike images. 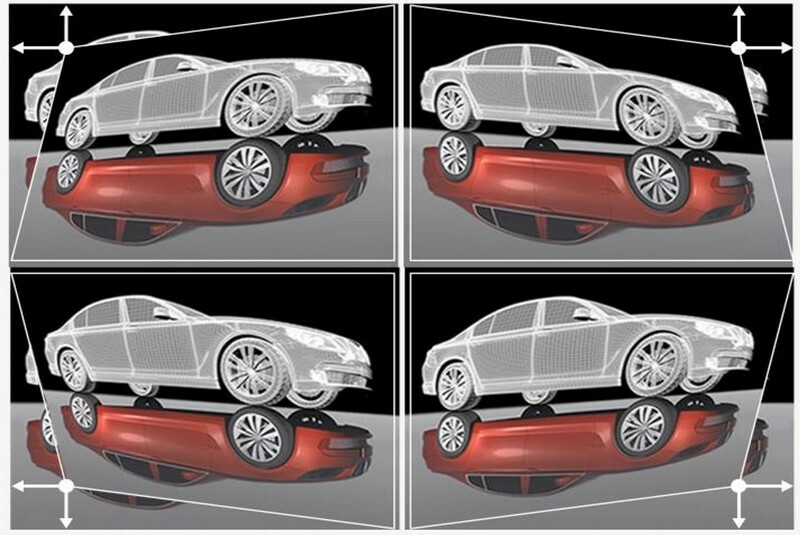 Images can be projected over a full 360° range along the vertical axis, including reproduction on a ceiling or floor. 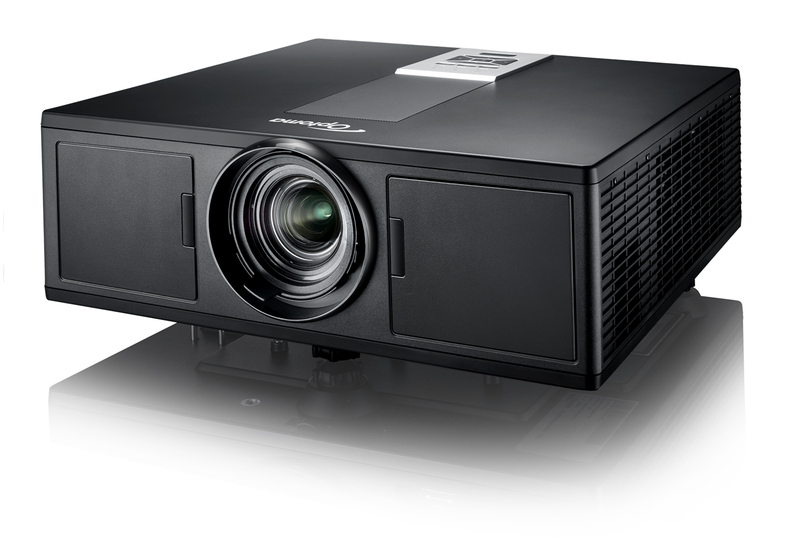 This projector can also be placed in portrait mode for applications such as digital signage or for tall thin projection areas. The color matching system, combines accurate measurements across multiple projectors creates seamless blends every time. Prevents image degradation when using very long HDMI cables with HDMI EQ Signal Boost (boost strength: 0-7). Crestron RoomView, Extron’s IP Link, AMX dynamic device discovery and PJ-Link protocols are fully supported, allowing nearly all aspects of the series to be controlled across a network, keeping you in control, wherever you are. This projector supports picture-by-picture and picture-in-picture. Signals can be delivered simultaneously via the HDMI and DVI ports, for a PbP or PiP display from two digital sources – perfect for video-conferencing and other collaborative applications. 5 EQ audio boost presets. Only 28dB in ECO mode, quieter than a Whisper. In situations where only absolute darkness is required, this projector can provide a total blackout that functions like mechanical shutter. 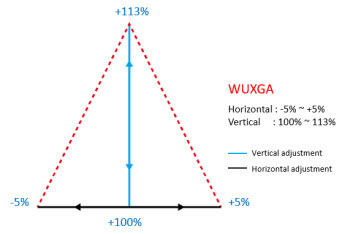 The change between normal projection to a total black image and vice versa is instantaneous. This projector features quick start-up and shutdown and reaches full brightness quickly. To maximise energy saving it also includes a ‘pause projection’ feature where the light source can be completely shut off. Unlike conventional lamp based projectors, the laser- light source requires minimal cool-down time.